Custom Samsung Galaxy S8 case. Your favorite picture wrapped around your phone. Enhance the beautiful shape of your S8 with your favorite artwork or pictures. Make your own custom Samsung Galaxy S8. Keep your piece of art always well protected thanks to our Galaxy S8 hard case from GoCustomized! The plastic hard cover provides protection in the back and side parts of the phone, and gives your Galaxy S8 a new look. You can print your custom Galaxy S8 cover with your favorite design or picture! This will ensure that your case is noticed and unique. Thanks to it's shape, all the features of Samsung Galaxy S8 remain easily accesible. How does the case design work? Customizing your Samsung case is a fun thing to do with our friendly-user design module. 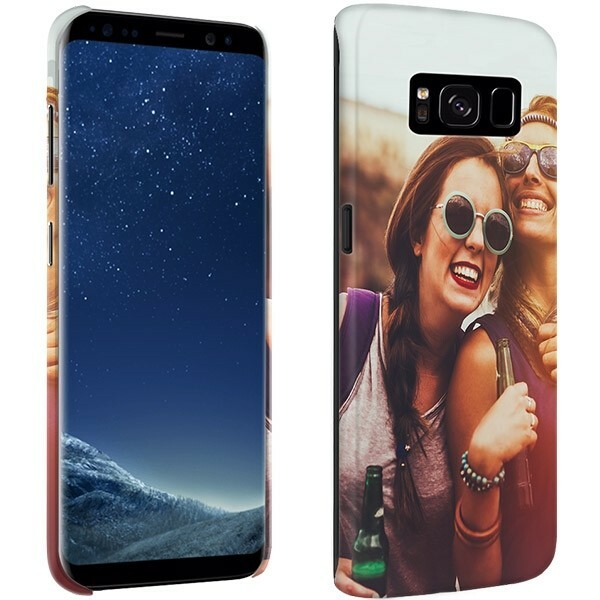 You will definitely not be the only one to make a case for the Galaxy S8 at Gocustomized! Your originality is therefore being tested. For the S8, you can create a design for a fully printed hardcase. This is printed on the case with 3D sublimation. It all starts with tiny drops of liquid polymeric material. The design is included in the material. This way you can enjoy your case for longer! Your S8 is equipped with the best possible protection and and with your own design. Making your own custom Samsung S8 case it's great. You only need to complete a few steps and then you can proceed directly to the order. Make sure you have checked that everything is correct! You only have to confirm and our production team is on top of it. Each case receives personal attention. The dangers of everyday life, combined with the vulnerability of the Galaxy S8, are a dangerous mix. Designing a custom Samsung case is the ideal solution. 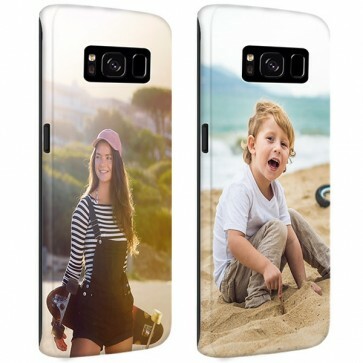 If you already have an S8, you'll be better srtart designing a custom Samsung hardcase at Gocustomized!